The Do 335 A-1 is a Rank IV German heavy fighter with a battle rating of 4.7 (AB), 5.3 (RB), and 5.0 (SB). It was introduced in Update 1.57 "Battle March". The Do. 335 is a difficult plane to fly. It has good armament, however, lacks anything else of substance. Sub-par climb, bad turning, and handling, as well as the lack of armor and a propensity to catch fire make this aircraft a very difficult grind. Pilots should utilize the air spawn, then climb as high as possible and go after bombers. Once available, the air belts are devastating against bombers; however, as the plane lacks armor and catches fire quickly, tailing should be avoided. It is also possible to Boom & Zoom with, however, the plane tends to veer off target in prolonged dives. Contrary to popular belief the Do 335 `Pfeil´ is not a super prop. The initial design was a `Schnellbomber´ (speedy bomber), but with the start of the emergency fighter program, most bomber contracts were shelved to increase fighter production. At Dornier, the idea arose to reconfigure the current bomber design into a heavy fighter to exploit the failure of Focke Wulf's Ta 154 `Moskito´. Consequently, flight agility is mediocre, lending itself in feeling to Dornier's previous heavy fighters: Do 17 Z-7 and Do 217N. Both of which were coincidentally bombers by birth too. The exception to this trait is the fantastic roll-rate, accomplished by boosted ailerons as seen on the Ta 152H-1. The two 15 mm cannons and 30 mm cannon are all nose mounted in the aircraft. Boom & Zoom: While it does not have the capability to turn, accelerate or climb (sustained) quickly as might an energy fighting aircraft, it can be used to make quick, swooping attacks on enemy bombers, and in a limited capacity, fighters. 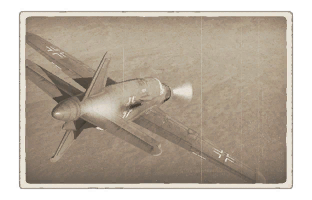 Advantaged by its swift dive acceleration, Boom & Zoom is a viable tactic; however, it should be noted that prolonged engagements with enemy aircraft should be avoided, as energy fighters will quickly deplete its momentum, and turn-fighting aircraft will easily outmaneuver this lumbering aircraft. Instead, diving on a target with a lower energy state (it is permissible to engage some slower aircraft in level flight as the 335 can reach speeds well in excess of 450 km/h within seconds of leveling the aircraft out of a climb) and then simply running away and zoom climbing out of range if the target is not killed on the first run is a significant advantage for DO-335 pilots who wish to return home alive. It may take several runs to kill a target, even with the heavy armament possessed by this aircraft, however momentum conservation is a key advantage of the 335, and multiple swooping attack runs disallow slow, "walking" adjustment of fire by bomber turrets, and can deny a turn-fighter an opportunity to attack, and potentially significantly drain them of energy. Targets in a higher energy state (More altitude and/or speed) should not be engaged unless you can ensure that once you have followed through with the attack run, you will be moving fast enough to avoid retaliation by the target. Made a problematic aircraft to master by its poor maneuverability, both anti-bomber operations and ground strafing are a challenging task in this aircraft; however, it does have bomb capacity for 1,000 kg of ordinance, and considering it's speed, it is moderately capable in the role of a medium or strategic bomber aircraft. Subsequently the ability to disrupt soft (20 mm) and hard (30 mm) ground targets far away from the initial fighter onslaught does provide some redemption for it's poor anti-aircraft capabilities. 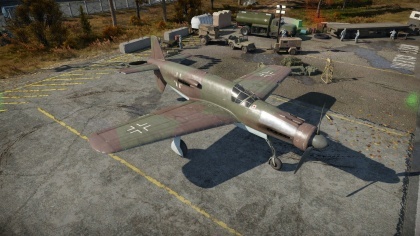 The Do 335’s design flaws make it particularly inapt at chasing other planes. It is nigh-impossible to try to aim while performing a dive, since the nose dances around in all directions and provides no stability to the aiming reticle. Indeed, aiming at the enemy while climbing is prone to the same inaccuracy. Trying to roll the wings to enter a quick dive, e.g. to escape an approaching enemy, is more akin to turning a ship than a heavy fighter. During ground attacks, its inability to aim properly makes more of a “spray and pray” than an accurate firing platform. The most useful approach would be to dive on bombers and attempt to hit with the 30 mm cannon at a distance. The Do 335 is fast in a dive, but flies like a brick. Out-turning it is easy in almost all aircraft it will face. Due to the center-mounted cannons, it is best to avoid head-ons. Steering in a dive results in very poor accuracy. Heavily reliant on it's 30 mm Mk 103 with limited ammo to do the damage dealing as the 15 mm MG 151's won't be able to suffice considering the aircraft's handling.